Sweet is the Peace the Gospel Brings is a beautiful Christian hymn that teaches of the peace, purity, and sweetness that comes by receiving and living the gospel. This version is arranged for SATB chorus with piano and violin accompaniment. The download includes the full score, as well as the violin part. 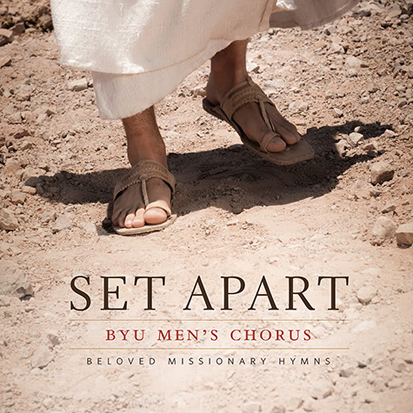 The original arrangement for TTBB was commissioned the BYU Men's Chorus, directed by Rosalind Hall, for inclusion in their album, Set Apart: Beloved Missionary Hymns, which was released to the public on April 5, 2013. All the recordings for this album are available free of charge at SetApartAlbum.com. Three other hymns included in the Set Apart album were also arranged by Lane Johnson: Brightly Beams Our Father's Mercy, Onward, Christian Soldiers, and It is Well with My Soul. Click the links for more information about these hymn arrangements. Here is a recording of a performance by the BYU Men's Chorus. Download this audio file for free at Set Apart Album. And show a Father's care.